The Kardashian-Jenner family have a real skill for getting noticed on the internet. Of course, it helps that there’s quite a few of them, and that they do things people like to talk about. 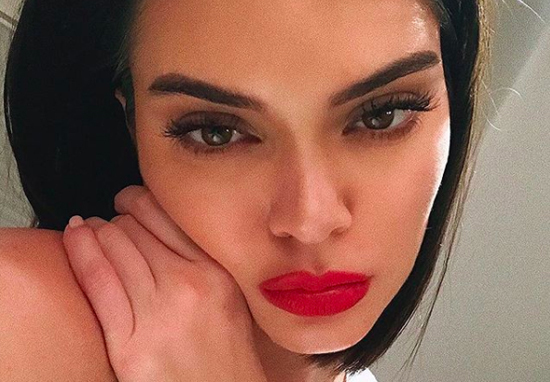 After rumours of baby daddies, new girlfriends and questionable tattoos, this time it’s Kendall Jenner under fire as a number of her 91.1 million Instagram followers have noticed something a bit off about her latest post. 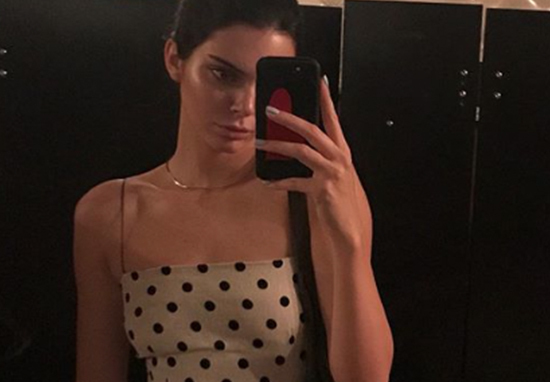 Simply captioned ‘bone-dry’, Kendall’s photo shows her alone in a bathroom, towel on head, glass of wine in one hand and phone in the other, giving us her best blue steel right down the barrel of the camera. Commenters were quick to react. Worst photoshop ever. You make good money and you can afford to be presented better than this. Do you or Kris look at this stuff before it posts to Instagram? Protect your image and your brand. 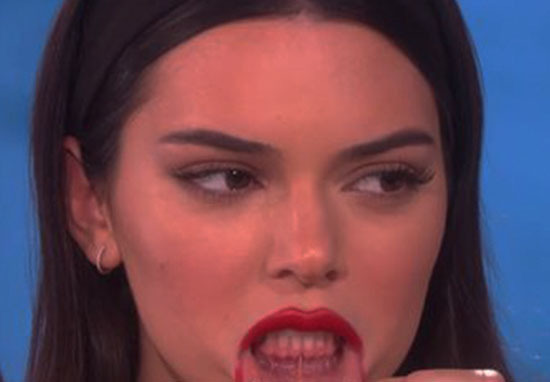 Earlier this year, Kendall showed off a lip tattoo she said she regretted getting while drunk. The 22-year-old was asked about the inking during an appearance on The Ellen Show and admitted she ‘wasn’t thinking’ when she got it done. On the show, Kendall also addressed the topic of having babies – because all her sisters have had, or are expecting children. That’s the best thing about other people’s babies, you can just give them back.